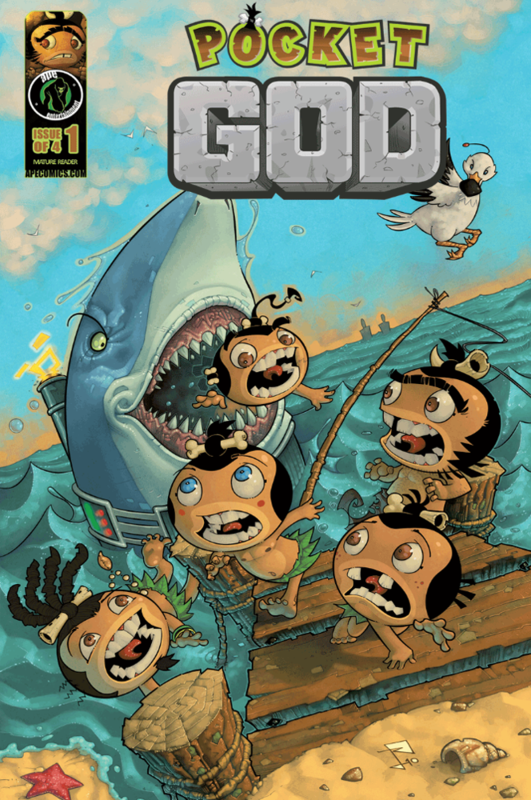 Based on the bestselling iPhone App, Pocket God tells the tale of an indestructible race of people who inhabit a mysterious island and are continuously (and comically) tortured by their mischievous Gods. Now, as their limitless life clock ticks towards its end, they must leave the relative safety of their own island in order to make amends with their deities. Stalked by a laser-wielding Shark and ravaged by a rogue wave, the islanders are washed up on the shore of a strange landmass, only to discover that when they die, they die for good. 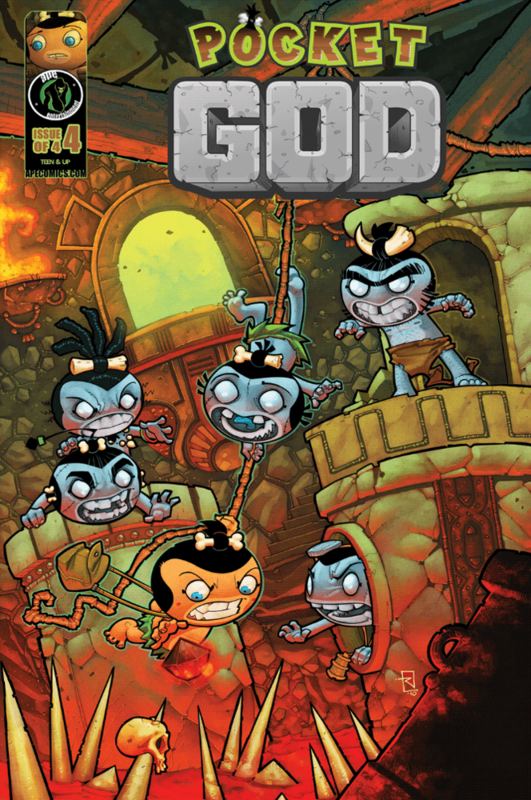 Now without their self-appointed leader, Klik, Ooga must step up to take control of the group, but will his last-minute intervention be a day late and a dollar short in saving the tribe? 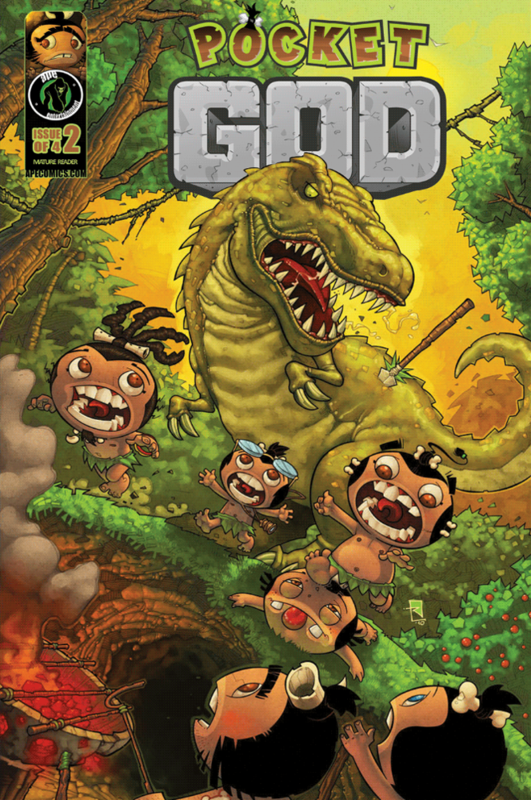 With the tribe’s numbers dwindling faster than their coconut supply, Ooga leads the remaining survivors towards the ominous temple where their powers are said to originate, but with a hungry Tyrannosaurus Rex in hot pursuit, can they outrun the prehistoric lizard and make amends with their gods before it’s too late? 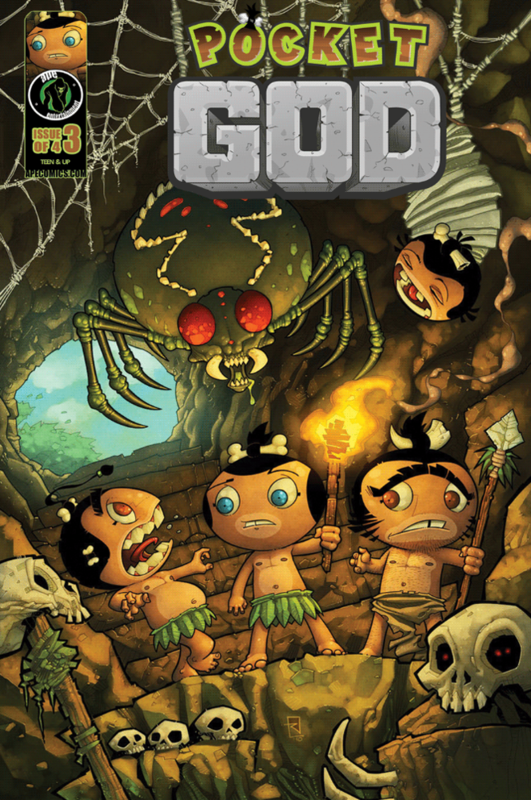 With the tribe’s mortality hanging in the balance, Ooga must travel deep into the temple to confront the unmerciful gods, but with the rest of the pygmies turned into zombies, can the unlikely hero complete the mission on his own or is the tribe destined to be disbanded for good? Find out in the thrilling conclusion to the Gem of Life!